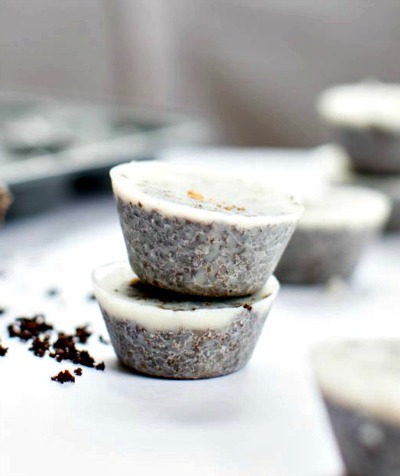 Lindsey developed this recipe for coconut coffee scrub cubes. They’re solid coconut oil bars that contain coffee grounds. She explains how they can be used to treat stretch marks and cellulite.What I like is that the recipe is quick and easy. Gerbermom’s method also uses much less coconut oil so there’s less waste. Click on the How to Make Coconut Coffee Scrub Cubes link below to see the recipe.